It’s that time of year again! 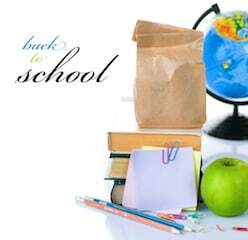 Summer is over and children are getting ready to start a new school year. 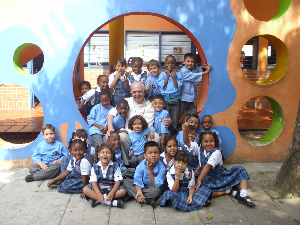 In April’s newsletter we told you about Father Amico in Cali, Colombia and the children he supports. We received a thank you letter expressing his heart-felt appreciation for providing $10,000 to ensure the children had nutritious food, uniforms and school supplies last year. This year, we’d like to increase the amount of money we’re able to send to Fr. 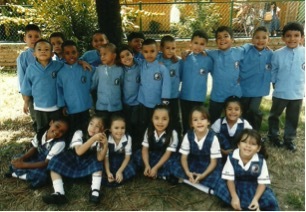 Amico so more children can attend school and use their education to overcome the poverty they are currently living in. What does it take to study well and have hope for a bright future? We’ll let the children show you themselves. It takes nutritious food served in a clean and caring environment. It takes money to buy the uniforms required to attend school. It takes room to climb and play and move their growing bodies. Most importantly, though, it takes the willingness to acknowledge that each of us has the power to to help these children live better lives. I’ve said it before and I’ll keep repeating it. A cup of coffee CAN make a difference. Would you prayerfully consider what you can do to help? Whether it’s buying our gourmet, organic, fair- trade coffee for yourself or encouraging your church to purchase our coffee for all of their parishoners, every pound of coffee sold means more support to Fr. Amico and the children he cares for. Anything you can do is something we are grateful for. Simply click the links in the email to learn more or email me directly.